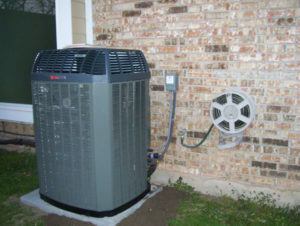 If you’re ready to gear up for the summer heat, you may be trying to find the appropriate Houston TX Air Conditioner Maintenance Tips for your residential and commercial needs. Are you trying to make sure your office in Montrose has reliable air conditioning to last you through August and beyond? Perhaps your guest home in your Cinco Ranch rent house hasn’t been used for awhile and you want to prepare it for heavy usage. Whatever the case may be, the information you’re about to absorb will undoubtedly help you maintain your heating and cooling units. Make sure you’re consistently changing your air filters. These are much more vital your air conditioner’s success than you may think. In some seasons, you may only have to change your filtration components one time. However, if you’re living in the Houston heat during the summer, try to change your filters on a monthly basis. This can help you avoid asthma triggers and other symptoms of success. Don’t make the mistake of waiting too long to change your filters. Are you dealing with friends who are complaining of the indoor air quality not being up to par? If you’re noticing that your air flow isn’t as well an your energy bills are creeping up, too, it’s definitely time to address the issue. Changing your air filters could be the answer you’re looking for. Even something as simple as forgetting to change the batteries in your device can cause a lot of havoc in the future. Many customers and consumers in the past have received incorrect reads on their in-home and in-office temperatures. If you’re not using the appropriate powering devices, you may not be able to read your temperatures and adjust your conditioning appropriately. While we all love the feeling our heating and cooling system brings us, we tend to forget about the large gray, black, and white unit that’s next to our buildings. Are you trying to maintain your air conditioner and make it last its 15-20 years? If so, don’t forget to clean your outside unit! Over time, there are tons of grime, dirt, leaves, and other materials and substances. These can build up within the system and do some real damage. Cleaning this out can keep the ventilation and air capacity in great condition. Houston Admiral Services hopes you take these helpful Houston TX Air Conditioner Maintenance Tips and apply them to your daily life. This information can help you expand the lifespan of your air conditioning unit. It can also help in keeping your indoor air quality free and fresh. Trying to make sure you have yearly inspections and maintenance plans from a NATE-certified squad of technicians and specialists? If so, our team is ready to help. Call us today at 281-876-9400 to receive a free quote and learn more about our maintenance plans.